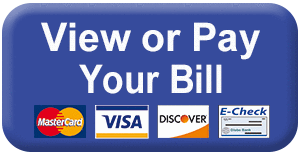 Make Payments / View Your Invoice ONLINE! 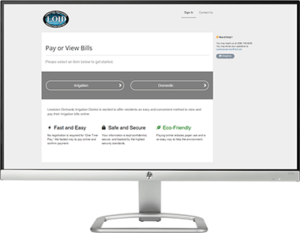 The Lewiston Orchards Irrigation District is proud to offer you an easy and convenient payment option, as well as view cur rent and past invoices! No registration is required for “One Time Pay”, the fastest way to pay online and confirm payment. The U.S. Department of the Interior, Bureau of Reclamation (Reclamation) prepared this Environmental Assessment (EA) in accordance with the National Environmental Policy Act (NEPA) for the proposed Lewiston Orchards Water Exchange and Title Transfer Project. 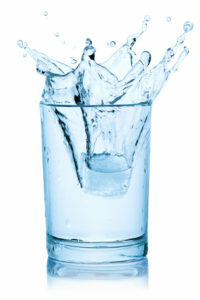 This EA analyzes the potential environmental impacts that could result from the implementation of the water exchange and title transfer alternatives. Early settlers to the confluence of the Clearwater and Snake Rivers made their living by dryland farming, mining, and lumbering. Many of the settlers found the climate at the lower elevation provided for comfortable living with a good growing season for crops and orchards. 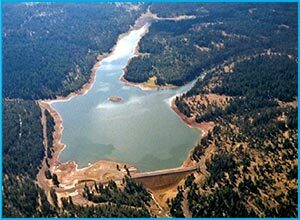 In 1906, the Lewiston Land and Water Company of Portland, Oregon initiated irrigation in the area with the construction of the Sweetwater Creek Canal and Reservoir A Dam to deliver irrigation and domestic water to the dry bench above Lewiston, Idaho. To accomplish this, the company condemned Indian trust allotments on the Nez Perce Reservation owned by the U.S. in trust for individual Indians in a state court proceeding in Lewiston. The company failed to notify or include the U.S. as a party and its condemnation of U.S. trust allotments, then used for reservoirs and canals, occurred without lawful jurisdiction and remains of disputed validity to this day.